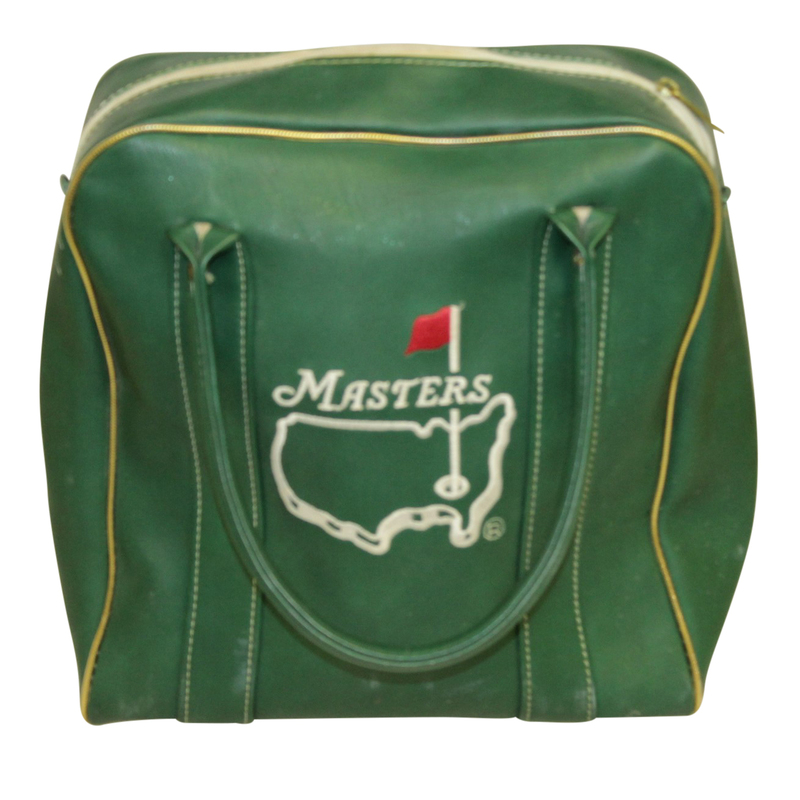 This shag bag is vintage and was likely used to carry golf balls. 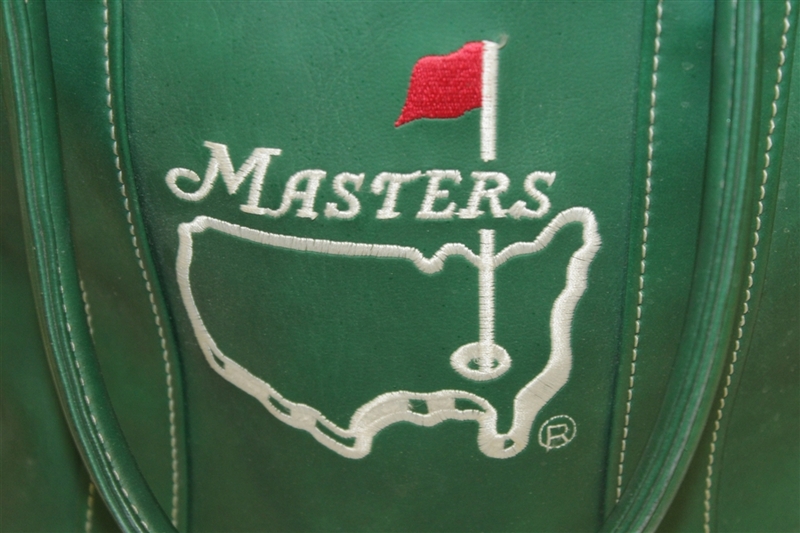 The Masters logo is embroidered and outlined in white with a red flag. This bag is made by a company called the Pro Group. 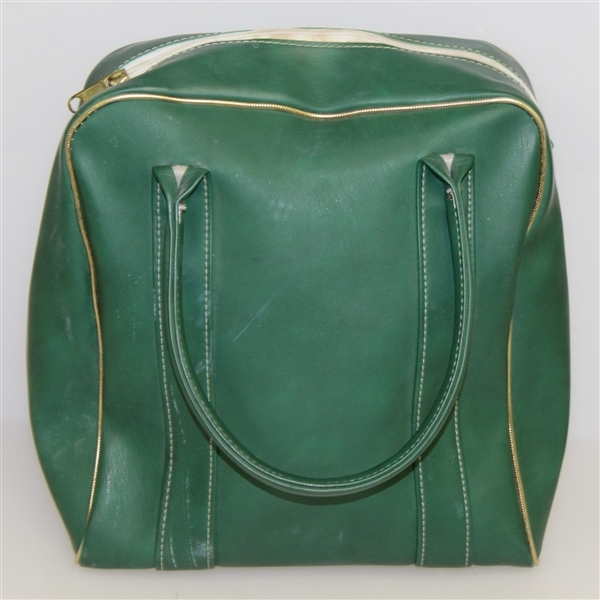 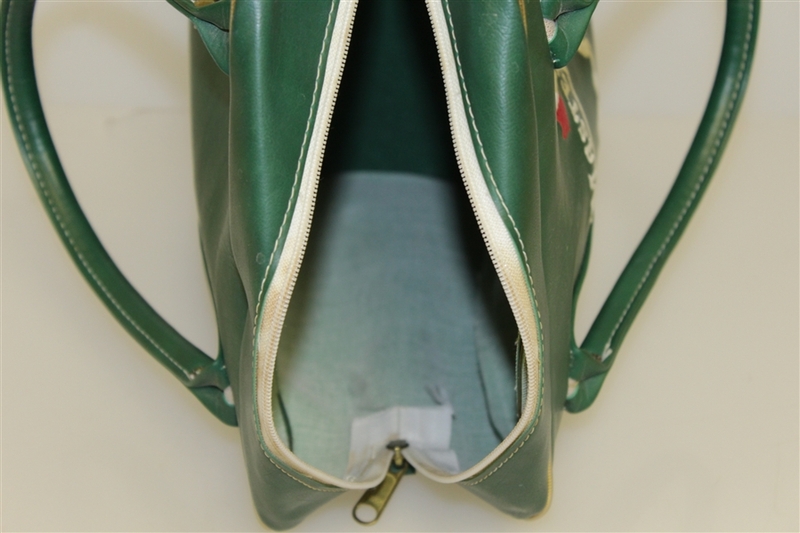 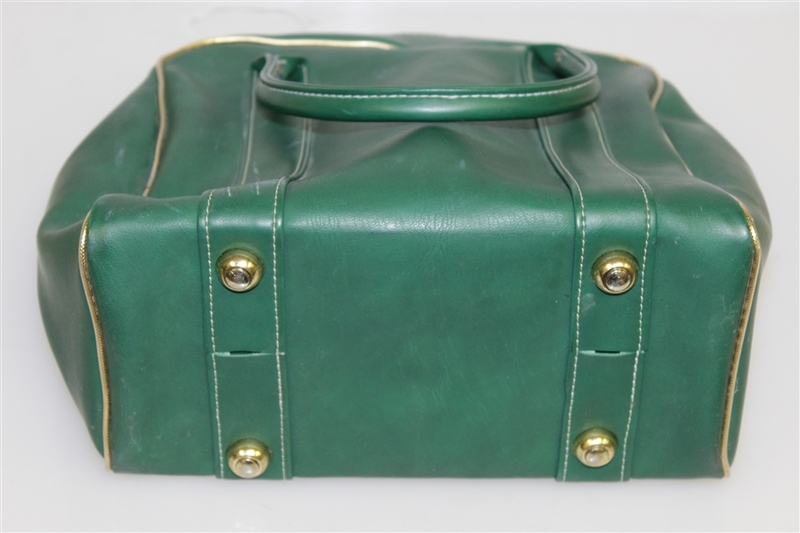 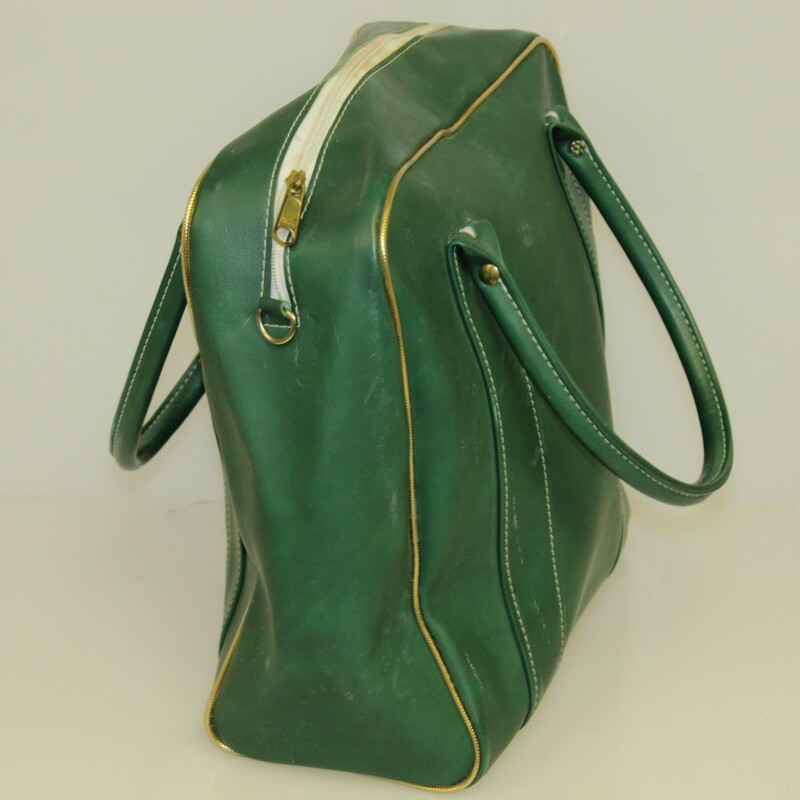 The emerald green hue bag with the color gold lining the edges looks indestructible.